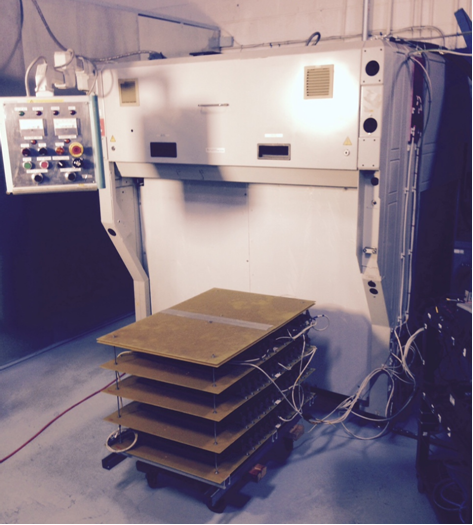 At the request of Aurtas International, HRI designed, built and tested a large 175 KW (output) regulated DC power supply (Figs 1). This power supply was specifically designed to control a large plasma load. 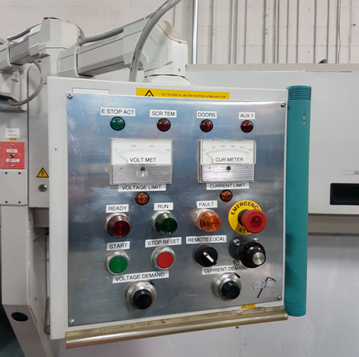 It can change from voltage to current control automatically thus enabling the operator to control and observe the plasma properties more accurately. The power supply can be equipped with an input auto transformer with remote input tap selection control. This feature allows the unit to better control the output voltage by varying the input 3 phase line to line voltage. The power supply is equipped with local (Fig 2) and remote (Fig 3) controls. 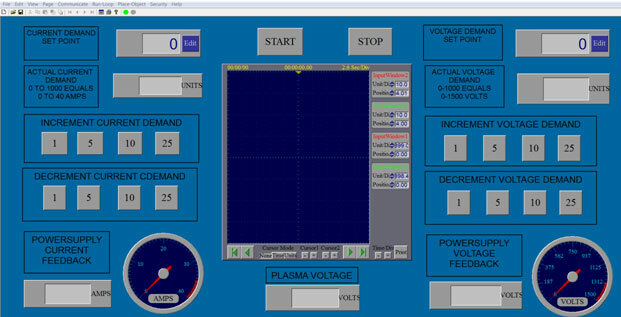 The power supply uses a PC interface to set and monitor the voltage and current. Figure 1. Power supply overview showing resistive balancing load in foreground.